Federal Brazilian police and military personnel, some wearing United Nations insignia, are forcibly relocating whole communities in Brazil at gunpoint under the guise of returning huge tracts of land to a small group of Indians whose ancestors were allegedly there at some point. Thousands of local residents who have lived in the area for decades or were even born there, however, are fighting back, with critics saying the government’s actions smack of Stalinism and may constitute crimes against humanity. Since the latest controversial operation began in November in the state of Mato Grosso, according to authorities and news reports, citizens opposed to being stripped of their property and homes have been doing everything in their power to stop the assault — setting up road blocks, battling heavily armed federal forces with stones, sticks, and Molotov cocktails, torching government trucks, protesting, and refusing to leave. Others cried as they tore down their own simple houses under armed guard. Critics and local residents have accused the government of Brazil of mass corruption, saying the end goal is to smash private property ownership and all potential resistance — starting with the rural population. They argue, among other points, that federal authorities are doing the bidding of foreign interests and are in cahoots with the UN, massive international corporations, Western-based non-governmental organizations like Greenpeace, and other interests. “This is just one more case among many. The policy of Brazil’s leftist government is to dismantle the country to deliver it all to ‘native reserves,’ which are nothing more than instruments of billionaire foreign Non-Governmental Organizations (NGOs),” explained renowned Brazilian writer and philosopher Professor Olavo de Carvalho, who has played a key role in exposing the well-orchestrated socialist takeover of Latin America. The so-called “pink tide” sweeping over the region is being led in part by top Brazilian Workers’ Party (PT) officials, who currently hold power, collaborating with totalitarian regimes in the region. As The New American has documented extensively, a shadowy network of socialist and communist political parties as well as Marxist terror groups known as Foro de São Paulo — founded by former Brazilian President Luiz Inacio “Lula” da Silva, communist tyrant Fidel Castro, the Sandinistas, and others — now dominates Latin American politics. Some 400,000 acres of land in the state of Mato Grosso with numerous towns — at least one of the communities in Estrela do Araguaia was home to an estimated 7,500 residents complete with churches, schools, hospitals, a graveyard and more, though the government claims the figures are smaller — was reportedly handed to a group of nearby Indians in the 1990s by official decree. Property owners’ deeds were nullified and no compensation was offered. Authorities began the forced relocation of all non-Indians late last year after giving existing residents just 30 days to vacate their land “voluntarily.” Most refused to go. “In the final days of December, the federal government’s task force working on expelling local residents from the Marãiwatsédé indigenous land in Mato Grosso prioritized the expulsion of the community of Posto da Mata, a center of fierce resistance against returning the land to the Xavante Indians,” the federal National Indian Foundation (Funai), part of the Justice Ministry, said in a statement in early January. “Justice officials set a January 4 deadline for residents to evacuate the area. Whoever does not leave by that date will have their belongings confiscated by Justice and will have to answer for the crime of disobedience.” Tensions are still brewing, though, and the evictions are far from completed. An 8-year-old boy, also crying, read a letter to Brazilian President Dilma Rousseff, a “former” self-styled communist terrorist during the military regime, begging her not to let the police knock down his family’s house. Rousseff and her administration, however, appear unmoved, with the powerful Brazilian regime marching onward regardless of the human tragedy left in its wake. Locals, however, are still petitioning the government to stop the barbaric relocation, which they say will shatter thousands of lives. Protesters have been tearing down and burning Brazilian flags while local, state, and even federal political leaders have expressed outrage about the brutal relocation. Congressman Valtenir Pereira, for instance, warned a top executive branch official about the increasing risk of bloodshed as the battle rages on. He also said that the forced relocation of families risked damaging Brazil’s image and reputation in front of the international community. The history of the land is in dispute, but it appears that in the 1960s, Brazilian authorities may have expelled local Indians from the region and moved them hundreds of miles away before selling off the land. The goal was supposedly to encourage Brazilians and agricultural producers in particular to settle the area, which saw a steady influx of new residents over the following decades. Many locals and even outside analysts question whether the land was really inhabited by Indians at all. Even some Xavante Indians have spoken out, explaining that their people always lived in another region with another climate and type of vegetation. The UN and Greenpeace, though, were heavily involved in promoting the idea during the recent Rio+20 “sustainable development” conference in Rio de Janeiro, parading a group of Indians around the premises in between bizarre ceremonies worshiping “Mother Earth” and calls for a planetary regime. Greenpeace, of course, has an atrocious record when it comes to indigenous people and has destroyed more than a few Native American communities over the years under the guise of pseudo-environmentalism. Nevertheless, the courts ruled in 2010 that the executive decree kicking all non-Indian residents out of the area without compensation for the loss of their property and homes could move forward. Shortly after that, the decision to force residents off their land was put on hold. In May of 2012, however, another court said the relocation could proceed. That decision was also halted, but the Brazilian Supreme Court eventually decided that the evictions could proceed as planned. Residents were notified on November 7 that they should pack what they could and go within 30 days, or face the full fury of the federal government. A few reportedly left, enticed by government promises of welfare and new land somewhere else for certain eligible small farmers, but many more stayed. Ranchers and farmers with larger properties were offered nothing. Guerreiro, who knows some of the victims in Mato Grosso, also cited international treaties declaring forced relocation to be a crime against humanity, saying it was time for the world community to speak out about the rampant and increasingly serious abuses being perpetrated by the Brazilian regime. He worries that if authorities are allowed to continue running wild with impunity, bigger towns will be next, and more victims will soon be forcibly stripped of their homes and property at the barrel of a gun. Also alarming, he said, was that some of the military vehicles being used to terrorize and evict local residents bore the same UN insignia used by international so-called “peace keeping” forces. Video documentation showed, and Brazilian federal authorities confirmed to The New American, that troops and equipment sporting the UN logo are indeed involved in the operation. However, officials claimed that the controversial global organization was not actually involved and that the soldiers and equipment had recently returned from “peace keeping” operations abroad, hence the insignia. As The New American reported years ago, socialist and communist forces are making significant progress throughout Latin America, with major support from abroad and just a handful of national governments resisting the trend. However, considering the recent birth of the Union of South American Nations (UNASUL or UNASUR) — a European Union-like transnational regime dominated by self-identified socialists — the people of the entire continent are facing the very real prospect of brutal tyranny in the not-too-distant future. And without a massive outcry, the farmers and poor workers of Suiá Missú will definitely not be the last victims. Alex Newman, a foreign correspondent for The New American, is currently based in Europe after growing up in Latin America, including four years in Brazil. He can be reached at anewman@thenewamerican.com. From The New American, January 7, 2013. Os vídeos e os textos postados assinados por seus autores e os noticiosos e de outros sites lincados são de inteira responsabilidade dos mesmos não representando no todo ou em parte posicionamentos do Nação Mestiça. É autorizada a reprodução e publicação de textos de propriedade deste site desde que citada a fonte. 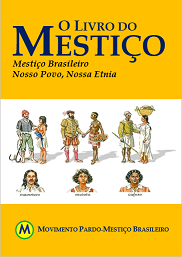 Mestiçofobia é racismo / Mestizofobia es racismo. Divulgue este site. Tagged with English, limpeza étnica ethnic cleansing, racism, racismo multiculturalismo.